For rock artists, the concept of a totally solo concert seems to offer an intimidating prospect. Of course, some acts like Bob Dylan started out in such a setting, but for those accustomed to the partnership of a band, it feels like a bigger leap. It’s one thing to do a short solo set as part of a longer concert, but to do an entire concert without other musicians is a different matter. Even a master like Bruce Springsteen seemed reluctant to make that jump; in the years after he released the totally solo and acoustic Nebraska in 1982, he toyed with the idea of a band-free tour, but he didn’t do it until 1995. Before I watched the DVD, I felt the same way. I’m leery of full solo acoustic shows by my favorite acts, so the prospect of watching two hours of Etheridge on her own didn’t excite me too much. Frankly, the supplements on Live... And Alone were what enticed me to check out the disc; the concert itself didn’t scream out as something I really wanted to see. To my surprise, the concert works quite well. As I implied, I don’t feel a great deal of affection toward Etheridge’s music. Using the tier system I referenced in my review of Eric Clapton’s One More Car, One More Rider, Etheridge stands as a Tier Four artist. That covers acts whose music I like but for whom I feel no passion; they’re one step above neutral. I own two Etheridge albums and saw her live once back in 1996, but that’s it. Actually, I almost went to see Etheridge on the 2001 tour, but the solo presentation combined with a relatively high ticket price kept me home. $75 to see someone I don’t much like play without a band? No sale! My screening of Live... And Alone didn’t make me regret that decision. Bruce charges $75 a ticket for a full band concert, so Etheridge’s price still seems awfully steep. Nonetheless, the December 2001 performance featured on the DVD presents a nicely entertaining and surprisingly varied show. Since Etheridge toured behind her 2001 album Skin, those songs feature heavily in the concert. We get six tracks from that album: “Lover Please”, “Down to One”, “I Want to Be In Love”, “Please Forgive Me”, “The Different”, “Heal Me”. Somewhat surprising, Etheridge almost totally ignores her prior album, 1999’s Breakdown, as it presents only one song with “Scarecrow”. Going back to 1995’s Your Little Secret, we find two more tunes: “Your Little Secret” and “I Want to Come Over”. Etheridge’s commercial breakthrough, 1993’s Yes I Am, provides “I’m the Only One”, “Come to My Window”, and “All American Girl”. Nothing from 1992’s Never Enough makes the cut, but 1989’s Brave and Crazy tosses in three numbers: “No Souvenirs”, “You Can Sleep While I Drive” and “Royal Station 4/16”. 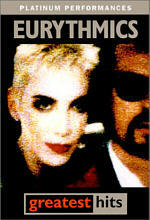 We then hit Etheridge’s first album, 1988’s self-titled release. It provides four tracks: “Chrome Plated Heart”, “Like the Way I Do”, “Occasionally” and “Bring Me Some Water”. Lastly, her cover of Joan Armatrading’s “The Weakness In Me” apparently only showed up on a compilation called Ain’t Nuthin’ But a She Thing, while “I Take You With Me” seems to come from the Boys on the Side soundtrack. As for “Ready to Love”, Etheridge states during her commentary that she never released the song prior to now. While Alone never includes any additional performers beyond Etheridge, she manages to alter the presentation enough to keep it interesting. I feared that she’d just stand there and strum an acoustic guitar for two hours, but that doesn’t happen. Instead, Etheridge changes instruments fairly frequently. Mostly she plays guitars, but she goes through a few different kinds and even digs out an electric one for a few numbers. In addition, Etheridge sits behind the piano for a few numbers like “Ready to Love” and “The Weakness In Me”, and she sings to the accompaniment of a drum machine for “Scarecrow”. Etheridge uses her acoustic guitar as a bongo for “Occasionally”. Heck, during “Lover Please”, she even breaks out that funky mouth-guitar “voice box” that Seventies kids remember from Frampton Comes Alive and other sources! To add a little more spice to the proceedings, a video screen behind the stage displays visuals for a few numbers such as “Scarecrow”. While the lack of extra instruments does make some of the songs blend together at times, the performance remains fairly nicely varied. Etheridge goes from peppier scaled-down rockers like “Come to My Window” and “All American Girl” to ballads such as “Ready to Love”, and she tosses in a few midtempo numbers as well. Between the different styles and the various instruments, the songs manage to stand out from each other reasonably well, at least as distinctly as Etheridge’s music can. Many of her songs tend to sound a lot alike even with band accompaniment, but they still fare pretty nicely on their own. Etheridge provides a fairly engaging personality. She occasionally chats between songs and offers some entertaining comments that help break up the potential monotony. As a performer, she comes across as excessively emotive. She doesn’t seem to trust the tunes to work on their own at times, so she makes more than a few goofy facial expressions to illustrate the lyrics. This doesn’t really mar the presentation, but it seems silly. Director Michael A. Simon does his best to create a reasonably varied visual presentation. Whereas most live videos feature at least three or four subjects, this one includes only one, so it presents a greater than normal challenge. Happily, Simon resists the urge to saddle the production with excessive quick-cutting or other gimmicks. At times the piece feels a little forced, with cameras that move and swoop around the stage, and some of the shots cut a little too quickly. However, the piece could have seemed much more hyperactive and annoying, and Simon mostly makes it complement the music. The visual techniques only infrequently distract me, and the program usually works quite well. My viewing of Live... And Alone didn’t ignite any sort of dormant passion for Melissa Etheridge’s music, but I found it to offer a much more entertaining and appealing production than I expected. Etheridge provided a lively and engaging performance that managed to spice up the solo format more than I anticipated. I don’t know if Alone will create any new fans for Etheridge, but it offered a solid program nonetheless. Melissa Etheridge: Live... And Alone appears in an aspect ratio of approximately 1.78:1 on this single-sided, double-layered DVD; the image has not been enhanced for 16X9 televisions. I assume that choice was made to accommodate the smattering of fullscreen material included on the DVD; the program opened with some shots of Etheridge from 1987 plus some backstage material from prior to the main concert. Nonetheless, the decision to make this a non-anamorphic production seemed unfortunate. Not that I know how much help an anamorphic transfer would have been, as the program suffered from a mix of concerns. Sharpness varied but usually appeared adequate. When the image went to moderately wide shots, it tended to become somewhat soft and fuzzy. Within close-ups and medium pictures, however, Alone remained acceptably distinct and accurate. Occasional examples of jagged edges occurred, but I noticed no problems related to moiré effects, and I also discerned no signs of edge enhancement. As I watched Alone, I debated what medium they used to shoot it. I eventually decided the piece featured 16mm film, a possibility confirmed during the interview on DVD Two; the camera runs out of film at one point, which obviously doesn’t happen on videotape. The program displayed more flaws than I’d expect from a modern production. The image looked moderately grainy at times, and I also noticed a fair number of speckles throughout the show along with a few scratches. The defects didn’t come across as overwhelming, but they created some unnecessary and add distractions. Given the simplicity of the production, it offered a subdued palette. Most of the colors related to stage lighting, and those tones seemed somewhat erratic. At times, the DVD reproduced the hues pretty tightly, but other times, the colors were a bit runny and thick. The tones generally looked acceptable, but they never displayed great clarity. Black levels came across as reasonably deep and dark, and shadow detail appeared fine, though low-light situations rarely showed up during the concert. Ultimately, much of Live... And Alone presented fairly positive visuals, but the image suffered from too many concerns to merit a grade above a “C-“. Despite the intimate nature of the performance, Alive... And Alone provided a Dolby Digital 5.1 soundtrack. Not surprisingly, the soundfield displayed a heavy emphasis on the front channels. Etheridge’s vocals remained anchored in the center, but instrumentation blended to the sides at times. That may sound odd since we only heard one instrument at a time, but the track executed this nicely, as the guitars and other elements spread naturally across the front on occasion. Some crowd noise also popped up from the front sides, and the surrounds lightly reinforced those pieces. In regard to the rear speakers, audience material generally only appeared between songs; crowd sound that occurred during numbers remained mostly in the front. Some instrumentation also popped up gently from the surrounds at times, such as the hollow-body electric guitar in “Chrome Plated Heart”, but this remained subdued and well integrated; it didn’t feel gimmicky or artificial. Audio quality seemed positive. Etheridge’s vocals sounded natural and warm, and they displayed a nice sense of presence and balance. The various instruments all came across as full-bodied and distinct. The electric guitar showed the nicest low-end tendencies, but everything demonstrated good range and dynamics along with fine clarity. 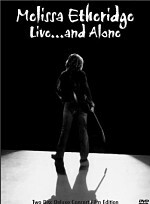 While Live...And Alone offered a fairly simple soundtrack, it suited the music and earned a “B+”. 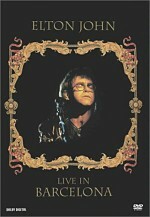 This two-DVD version of Live... And Alone packs a mix of supplements, most of which appear on the second disc. However, we get a few components on DVD One, and we start with an enticing feature: an audio commentary from Melissa Etheridge. That track compelled me to pick up a copy of this set, and while Etheridge doesn’t offer a thoroughly scintillating session, she provides enough good material to make the commentary useful. Etheridge discusses a nice variety of issues that relate to the concert and her music. She chats about some of the songs and also gives us a look at the nuts and bolts of the live experience. She relates some of her own thoughts while on stage and talks about different elements of concert production. Etheridge falls silent a little too frequently, and I’d have liked to hear more about the songs themselves, but this commentary nonetheless provides an informative and intriguing piece. In addition, DVD One provides multi-angle concert segments for two songs: “All American Girl” and “Scarecrow”. Each song features three views. The screen displays one large box and two smaller ones; the big image shows your choice of angle, while the other two present the options. (Sometimes only two selections appear.) Given the restricted focus of the concert – ie, one woman with a guitar – the multiple angles don’t seem terribly useful, but it’s a moderately interesting feature nonetheless. When we move to DVD Two, we start with an Interactive Tour Diary. This shows a map and follows Etheridge’s tour as it winds around the US and then Europe. We begin with pre-tour preparations in Los Angeles and then go to DC, Boston, Atlanta, Miami, Dallas, and New York in October 2001 before Etheridge heads to London in February 2002. She then jets to Amsterdam and Berlin. 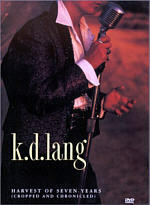 The program lasts roughly 40 minutes, and in addition to comments from Etheridge, we see her girlfriend Tammy, publicist Marcel Pariseau, manager Bill Leopold, tour manager Steven Girmant, guitar tech Trace Foster, sound engineer Steve Folsom, production assistant Stephanie Gordon, tour accountant Matt Swanson, lighting designer Wally Lees, and Island Records founder Chris Blackwell. Basically the “Diary” offers a documentary split with segments related to a map. In a cute touch, we watch an animated jet move from city to city, and a chart keeps track of miles traveled, gallons of water downed by Etheridge, and bagels consumed by the crew. The piece gives us a decent look at life on the road and presents a number of different elements. I most enjoyed Etheridge’s elevator encounter with a guy in Boston who didn’t know who she was. The “Diary” occasionally drags, but it generally offers a fun and intriguing experience. Some parts of the “Diary” present segments of a chat with Etheridge, and we get to see the whole thing in the interview section of the DVD. Apparently shot prior to the concert seen on DVD One, the 27-minute and 43-second interview includes a lot about September 11, which means it repeats a fair amount of information already seen in the “Diary”. Etheridge also chats about the concert and relationships. The interview provides a moderately interesting collection of notes but it doesn’t offer anything terribly scintillating. I believe DVD One includes the entire concert from the final evening in Los Angeles, but we get some bonus songs from other performances. “Yes I Am” comes from Atlanta on September 4, 2001, while “Dance Without Sleeping” emanates from the February 5, 2002 show in Amsterdam. Additional tracks would have been nice, but these two extras still make for a nice addition. Briefly glimpsed at the start of the main program, we find a little more from a 1987 solo club performance. Unfortunately, we only get 116 seconds of footage here, so while the segment expands the clip at the beginning of Alone, it doesn’t do so by much. Similar problems greet the 2002 Roxy band performance. From April 1, 2002, this four-song montage only lasts two minutes and 27 seconds, which means it’s nothing more than a tease. A more satisfying extra appears in the bonus tracks domain. This presents audio-only versions of two studio recordings: “Alive” and “The Weakness In Me”. I did a little research, and it appears that these are pretty obscure songs. From what I can tell, the studio cut of Weakness only showed up on a compilation called Ain’t Nuthin’ But a She Thing, and I couldn’t figure out where one could previously find “Alive”. Given the seeming rarity of the tracks, their inclusion here is quite a treat for fans. Lastly, a discography appears. This includes Etheridge’s albums, singles, compilations and videos. The discography doesn’t present any detailed information, unfortunately, as it just lists basic dates and little else. Despite the limited usefulness of that feature, Live... and Alone still offers a good collection of extras, and it proves to be a surprisingly entertaining concert experience. Given my lukewarm feelings toward the music of Melissa Etheridge and general lack of interest in solo performances, I thought I’d feel bored with the show. Instead, it offered a lively and varied presentation that seemed consistently intriguing. The DVD suffered from bland and moderately flawed picture but it offered solid and clear sound along with a roster of supplements that seems unusually large for a concert program. Melissa Etheridge fans should really enjoy this nice package, and it may even attract a few new partisans as well. Note: this review covers the two-disc version of Live... And Alone, but a single DVD edition also exists. This release lists for $10 less but it loses a lot of material. Not only does it cut seven of the 22 songs, but also it omits almost all of the extras. The single-disc version provides nothing more than the audio version of “The Weakness In Me” and the discography; all the other goodies vanish. The two-DVD edition seems well worth the extra money, as it includes an awful lot additional material.